Gillian Molyneux says Lt Cdr Ian Molyneux would have wanted to “protect” his fellow submariners when he was shot. The widow of a naval officer who was shot dead by a junior rating on board a nuclear submarine has been awarded a medal to mark her loss. Lt Cdr Ian Molyneux was killed by Able Seaman Ryan Donovan while HMS Astute was docked in Southampton in 2011. 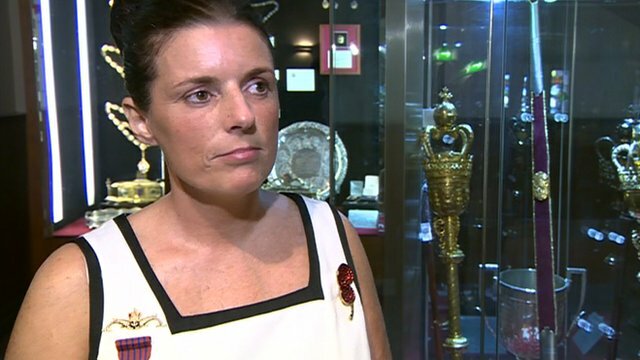 Gillian Molyneux was given the Elizabeth Cross, which is awarded to servicemen’s next-of-kin and women killed on duty, at a ceremony in Wigan. She said it was a “recognition” of what she and her four children had lost. Mrs Molyneux, who lives in Standish, said the medal was one “no next-of-kin ever wishes to receive” but it recognised her family lost “through Ian’s dedication to the Royal Navy, Queen and country”. “I lost my soul mate when Ian died and our children lost a wonderful daddy,” she said. She added she was accepting the medal “with deep sorrow and immense pride”. Mrs Molyneux, who wore the posthumous George Medal awarded to her husband during the ceremony, was presented with the medal by the Lord Lieutenant of Greater Manchester at Wigan Town Hall. During the ceremony, Regional Naval Cdr Commodore Dickie Baum said Lt Cdr Molyneux had been one of the Navy’s brightest prospects and a role model to future submariners. “At all times he set an example, displaying his high moral standards and leadership,” he said. 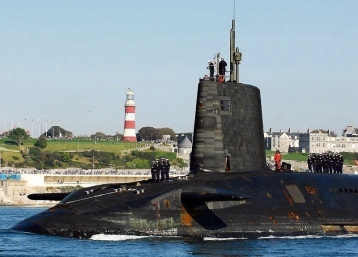 “It was typical that when a crisis arose in HMS Astute involving an armed sailor who had begun shooting indiscriminately for reasons that have never been fully explained, Ian was the first to react to the noise and commotion. 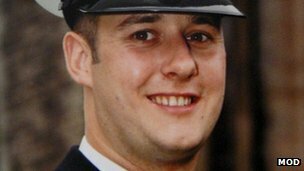 Ryan Donovan admitted murdering Lt Cdr Molyneux and was jailed for life at Winchester Crown Court in September 2011. This entry was posted in UK Submarines, Video Clip and tagged Elizabeth Cross, Gillian Molyneux, HMS Astute, Ian Molyneux, Ryan Donovan on April 27, 2013 by jasonlockley. A navy officer was unlawfully killed by a junior rating on board a nuclear submarine, a coroner has said. Able Seaman Ryan Donovan, 23, shot Lt Cdr Ian Molyneux, 36, of Wigan, Greater Manchester, at close range on HMS Astute in Southampton. He had been on a two-day drinking binge before the attack in April 2011. Recording a narrative verdict, Coroner Keith Wiseman said he would recommend that random breath testing for Royal Navy personnel be implemented. Donovan was jailed for life in September 2011 with a minimum term of 25 years after pleading guilty at Winchester Crown Court to the murder of the father-of-four. The 23-year-old, of Hillside Road, also admitted the attempted murders of Lt Cdr Hodge, 45, Petty Officer Christopher Brown, 36, and Chief Petty Officer David McCoy, 37. Mr Wiseman said a culture of drinking to excess had to stop, and a system of alcohol testing prior to duty should be introduced. The inquest at Southampton Civic Centre heard Donovan had drunk more than 20 pints of cider and lager over two days prior to the attack. He had also drunk vodka and cocktails before being put on guard duty with a gun while more than three times above the alcohol limit for driving. Tests revealed Donovan’s blood would have contained 139mg of alcohol per 100ml – 76% above the drink-drive limit. Police investigating the murder were so concerned about binge drinking by the crew while ashore, that the senior officer wrote to Hampshire Constabulary Chief Constable Alex Marshall to highlight the issue and it was passed to military authorities. At the time sailors were allowed 10 units in 24-hours with no alcohol in the 10 hours before duty. This has now been changed to five units. This entry was posted in UK Submarines and tagged HMS Astute, Ian Molyneux, Inquest on January 14, 2013 by jasonlockley. THE details of how a hero sailor was killed in a shooting on a nuclear submarine docked in Southampton will be heard today. 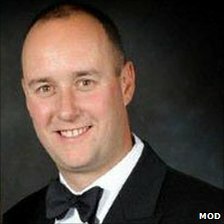 A two-week inquest into the death of Lieutenant Commander Ian Molyneux on board HMS Astute last April will be held at Southampton Coroner’s Court. The 36-year-old father-of-four this year posthumously received the George Medal – the second highest civilian award for gallantry, belowthe George Cross. As reported, he was killed when he ignored the obvious risk to his own safety as he tried to stop Able Seaman Ryan Donovan, who had begun shooting a semiautomatic rifle on board the submarine while it was on a formal visit to Southampton. The officer, with 20 years of experience in the Navy, was shot in the side of the head at point blank range as he rushed towards the gunman, who had been acting as sentry on the vessel. Donovan was eventually overpowered by the then leader of Southampton City Council Royston Smith and chief executive Alistair Neill, who had been on a civic tour of the submarine. Winchester Crown Court heard Donovan was as an “immature” fan of violent computer games and gangster rap who failed to cope with the stresses of cramped submarine life. 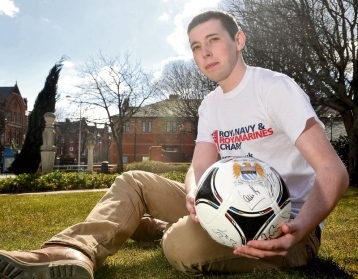 Despite spending four years in the Royal Navy, the then-22- year-old able seaman was said to have struggled to deal with the strict authority of the armed services and resented those he believed had unfairly targeted him. Under the nickname “Reggie Moondog”, Donovan, from Dartford, Kent, wrote rap songs with lyrics about guns and killing, including a reference to the SA80 rifle he was to later use on his murderous rampage. The court heard Donovan had repeatedly spoken of his desire to kill, and just hours before his terrifying gun frenzy he told a colleague he would shoot someone that day – advising him to “watch the news” later. Angry at missing out on a draft to another ship after getting into trouble and facing military imprisonment for refusing orders over cleaning duty, he decided to kill the officers he held responsible. He waited two days for the chance to murder Petty Officer Christopher Brown and Chief Petty Officer David McCoy, after which he planned to turn the gun on himself. But his revenge mission failed when his shots missed the officers, and courageous Lt-Cdr Molyneux, from Wigan, Lancashire, made his fatal intervention. This entry was posted in UK Submarines, Uncategorized and tagged HMS Astute, Ian Molyneux, Ryan Donovan on January 2, 2013 by jasonlockley.